Education & Occupation: Bachelor of Science in Mathematics with an emphasis in Actuarial Science, Doane College; I started working for Deloitte Consulting, LLP as a Healthcare Actuary in Chicago, IL. I will be taking a break from actuarial work during summer 2012 to pursue an MBA from Kellogg School of Business at Northwestern University to return to Deloitte upon completion. 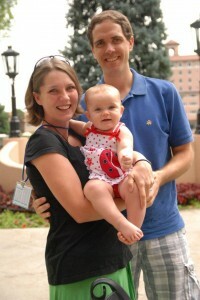 Family: My husband, Griffin, and I are happily living in Chicago and enjoying our lovely daughter, born in October 2011. And of course, no family is complete without the furry members: we have twin cats, Laverne and Shirley, and our dog Lily, whom we adopted about four years ago from a local no-kill animal shelter where we volunteer. Influences: My husband, who is always loving, supportive, and ever caring; my mother, who taught me how to love and care for others; and my Church community, who taught me how to share God’s love with others through my gifts. Favorite CK Memory: The auction we hosted each year at Doane to raise funds for the Juvenile Diabetes Research Foundation. The entire community would participate. We hosted it in the cafeteria over dinner, so it was always a lively crowd of students bidding on items that faculty, staff, and local businesses donated. It’s a heartwarming (and fun!) event that I’ll always remember fondly. Reason for joining the Board: From the time I was first exposed to Cardinal Key, I was impressed with the organization’s core values and how diligently everyone worked to uphold the mission. This is what first inspired me to become active in the organization and it is keeps me actively involved to this day. I joined the Doane Cardinal Key Chapter in the Spring of 2004. During my time at Doane, I served as chapter Vice President and President. I was fortunate enough to be the Doane representative at the National Cardinal Key Convention in 2005 where I was elected National Vice President. After which, I served as a National Advisor on the Board of Directors until I was elected National Co-Director during the 2009 National Cardinal Key Convention in Atlanta. Favorite Vacation: My favorite vacation would have to be the trip Griffin and I took to Africa with a number of other Doane alums (including his parents!). A Doane professor led the trip and she has spent a fair amount of time in this area, so we were really able to explore the local area in more of a non-tourist capacity. Plus, the safaris were absolutely amazing! Family: My husband and I were married in 2004, after which we both attended Mizzou for graduate school. 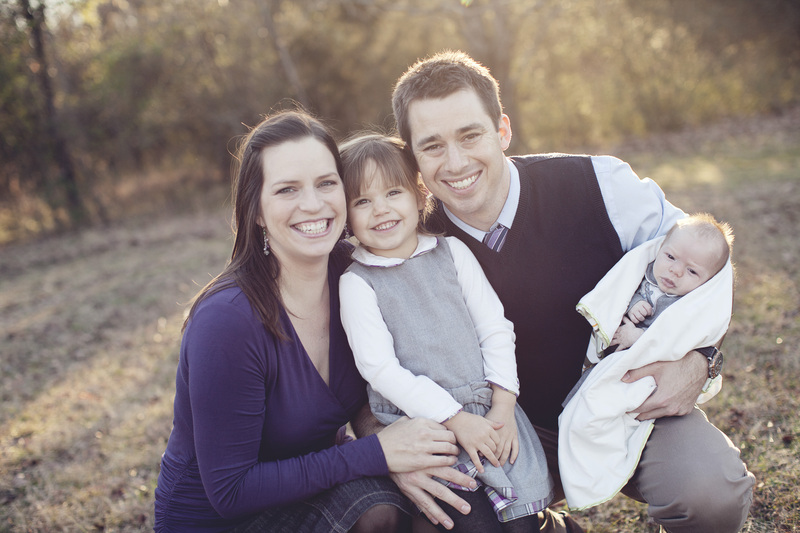 In 2009, we welcomed our sweet daughter to our family, and my husband joined the Air Force which brought us to Mississippi. Our heart warrior son was born in October 2012, and underwent two heart surgeries before he was 13 weeks old! We will be joining the Bennett Lothrops in Chicago this summer for my husband to complete a Post-Doctoral Fellowship in Neuropsychology at Rush Medical Center. Favorite CK Memory: As a student: hacking through 1000 Hills State Park with machetes and Blue Keys to clear bike trails, and spending long hours being silly and serious, laughing and sharing at our Retreats. As a board member: watching a fire for improving and challenging their chapters ignite in the hearts and imaginations of delegates at each National Conference…also the night of the “indoor waterfall” at the 2011 National Conference. Reason for joining the Board: Being a member of Cardinal Key at University changed my life for the better, for good. I wanted to have the opportunity to support Cardinal Key at a National Level and to help chapters influence college and university students on a daily basis. I was elected National President at the 2004 National Conference in Kansas City, Missouri; served as National Past-President, and as National Advisor until I was appointed National Co-Director with Amanda Bennett Lothrop at the 2009 National Conference in Atlanta, Georgia. Epic Moments: Marrying my husband; holding my daughter for the first time; seeing my son recover from open heart surgery; watching my husband receive his Ph.D.; seeing my grandparents love their spouses; realizing that my parents were both human and amazing; walking into The Crossing after a long absence; standing on the beach as storm comes in off the ocean.